The 15th Annual Insurance Symposium will be held on Friday, March 28, 2008 at Cityplace Conference Center in Dallas, Texas. The course will educate the attendant on developments during the past year regarding the insurer-insured relationship, duties owed to the consumer, “bad faith” and insurance code claims, and ethical obligations in the insurance context. Additionally, the course will give an up date on case law decided within the past year with respect to both personal and commercial policies. This course has been certified for insurance licensee continuing education by the Texas Department of Insurance in the amount of 5.0 general credit hours and 1.0 Ethics/Consumer Protection credit hours. Cooper & Scully, P.C. is a Texas Department of Insurance registered CE provider (#1107). This course has been approved for Minimum Continuing Legal Education credit by the State Bar of Texas Committee on MCLE in the amount of 6.0 hours. Ms. Gartner’s presentation will focus on litigation stemming from the rescission of health insurance coverage due to material misrepresentations made on an insurance application. Upon rescission, the insured frequently brings claims against their insurer for, inter alia, breach of contract, bad faith, and violations of the Texas Insurance Code. She will analyze various aspects of litigating such claims, including the scope and application of the misrepresentation defense, ERISA preemption, and the potential for fraudulent joinder. The Right to Reimbursement after Frank's Casing: What did it come from; why is it here; and where might it be going. Mr. Wright’s presentation will address the Texas Supreme Court's recent opinion in Excess Underwriters at Lloyd's, London, et al v. Frank's Casing Crew & Rental Tools, Inc. and its effect on the insurer's right to reimbursement for claims later determined to be not covered. A short historical perspective will be provided as well as a discussion of the present state of the law and where the law might go in the future. Possible implications for the settlement of cases and for the application of the Stowers doctrine will be discussed. Mr. Huddleston will address the breadth of appraisal clauses in policies and whether or not they extend to issues involving coverage. He will discuss the case of State Farm v. Johnson currently pending before the Texas Supreme Court. Mr. Fischer and Ms. Sheffield will be taking about whether pay and case is still viable among co-insurers; how the decision affects the discharge of the duty to defend; and how the Texas Supreme Court’s decision affects Stowers demands where co-insurers are present. Ms. Robberson will address the recent decision in Nation Union Fire Ins. Co. v. Crocker and what duties Texas courts will impose on insurers to notify additional insureds of coverage that may be available to them. She will examine the breadth of the decision and how far the holding can be extended. Ms. Faust will address the recent decision in Fairfield Ins Co v. Stephens Martin Paving. LP and whether or not Texas public policy prevents coverage for punitive damages. She will address the specific issues presented in this case and how far the holding can be extended. Mr. Johnson will present an analysis and overview of liability, bad faith, and claims handling considerations regarding Chapter 542 of the Texas Insurance Code and the Texas Prompt Payment of Claims Statute, (formerly known as Article 21.55 of the Texas Insurance Code) in light of the recent Texas Supreme Court ruling in Lamar Homes, Inc. v. Mid-Continent Cas. Co.
Mr. Cooper will focus on the lack of direction from Texas courts on what must be done to perfect a Stowers demand in multi-insurer situations. Suggestions and ideas will be presented on what solutions may exist. Ms. McClelland will give a review and update on the latest Texas cases involving general liability and auto coverage. Additionally, she will give an update on regulatory requirements for Texas auto insurers. Mr. Dortch will present an analysis into the differing State, Federal, and Appellate venues and jurisdictions in the State of Texas including an in depth look into the socioeconomic, political, and demographic changes experienced across the state over the past five years. 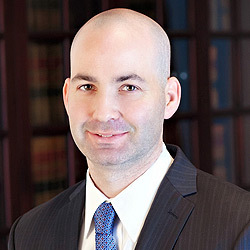 Mr. Shattuck will discuss the scope of Section 451 of the Texas Insurance Code. Then analyze recent cases and issues that have arisen with regard to application of the statute. Mr. Cooper's topic will address the recent decision in Evanston Ins. Co. v. ATOFINA Petrochemicals and the breadth of coverage afforded to additional insureds under most additional insured endorsements. He will focus on how far the decision may be extended and the implications for those depending upon coverage under additional insured endorsements.